After 5 years of offering basic Indigo & Shibori workshops, we are excited to announce a class that focuses in-depth on a handful of specific binding, clamping, stitching and wrapping techniques that make up the intricate patterns known, loosely, as shibori. In this class, students with gain in-depth experience in textile patterning with resist methods and traditional Japanese patterning techniques, focusing in-depth on Arashi (wrapping & binding) and Itajime (clamping & shaped resist). Learn advanced folding, tying, sewing, and binding techniques influenced by traditional and nontraditional methods. We’ll dip into an organic indigo vat to create beautiful custom patterns on various natural fibers. 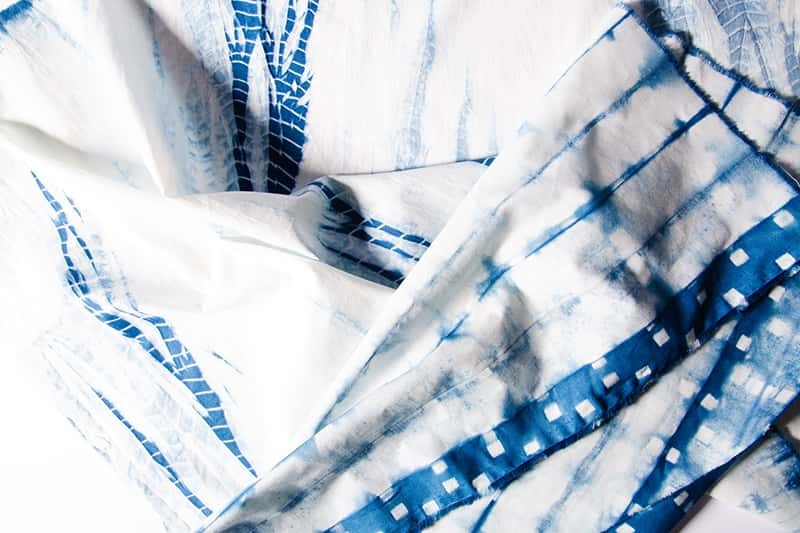 Students will leave with samples and a large patterned piece of fabric.This class will open up the world of surface design to beginners, while challenging those who have already worked with indigo & shibori to move beyond the experimental phase to intentional pattern-making.